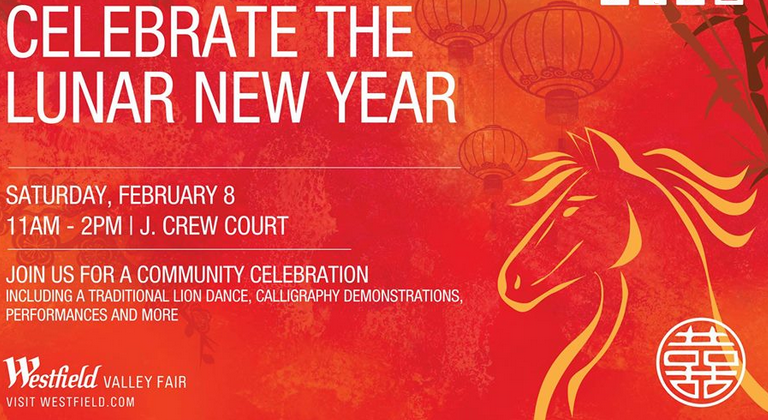 Westfield Valley Fair is hosting a cultural event on February 8th in celebration of the lunar new year. The agenda includes Shanxi drummers, martial arts demonstrations, a traditional lion dance, and calligraphy. The kids will also be well served with craft tables, photo booths, and student art. The event runs from 11am to 2pm at J. Crew Court and you can RSVP at their Facebook event page right over here.